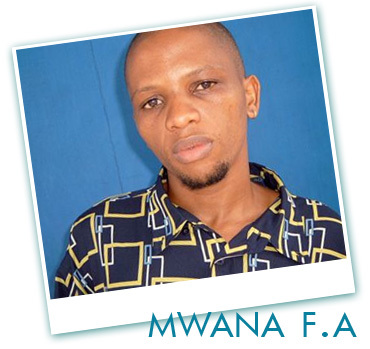 Mwana FA, or Mwana Falsafa also known as Khamisi Mohammed or Binam – is one of those Tanzanian artists that has a long life cycle. He is a short, light skinned little reserved dude that commands presences whenever he is around people. Ive had the pleasure to hang around him a couple of times, which for most part he just kept me engaged with some intellectual thought provoking speech and conversations. He definitely is not your average local Tanzanian artists. He is part of the East Coast Camp and together with Jose Chameleon from Uganda they managed to put together this compelling track produced by Mandugu Digital – the King and inventor of BOUNCE. A lot of people though bounce wouldn’t cross the regions nor penetrate the market after BAMBOO first commercialized the beat with Mandugu (also known as Ambrose). But Ambrose has managed to shut down critics that he is here to stay and he is willing to make beats across the region that will resonate with whichever culture and community. This is one of the few attempts that brings together a Ugandan artist, a Tanzanian artists and a Kenyan production team… Brilliant!!! This entry was posted on Wednesday, August 13th, 2008 at 2:50 pm	and is filed under Bongo Flava, Ugandan Music and tagged with bongo, bounce, chameleon, Genge, mwana fa, ugandan. You can follow any responses to this entry through the RSS 2.0 feed. hey there. my friend and i are working in uganda for 6 weeks and love the song “bounce” by mwana fa and jose chamleone. we can’t find it anywhere, but saw you once had a download link for it. is it possible for you to email our favorite song to us? thanks so much!